I don’t usually wade into global economic policy here on the Stump, but as Mitt Romney reminded us in his speech last night, the 2012 presidential race is “still about the economy—and we’re not stupid.” So after coming across a particular pet peeve of mine just now, I’m going to wade on in. 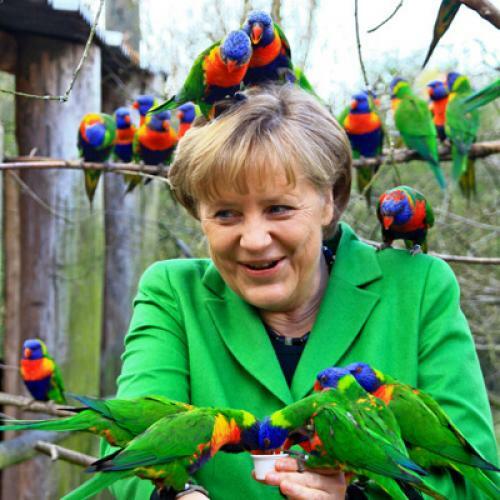 [Angela] Merkel’s government did the world an additional favor in 2009, amid the financial crisis, by rejecting calls from the International Monetary Fund, then British Prime Minister Gordon Brown, President Obama, Treasury Secretary Tim Geithner and the same dominant Keynesian consensus to join the global spending party. Germany’s resurgence might have been even stronger if Mrs. Merkel and her coalition partners hadn’t reneged on their tax-cutting campaign promises and raised VAT and other taxes in a bid to stay close to budget balance. Still, Europe is lucky that its largest economy remains strong and creditworthy. Yet now Mrs. Merkel is widely berated for avoiding the policy errors that led to the debt crisis and for having the nerve to encourage other countries to emulate the reforms that worked in Germany. The Keynesians will never forgive the Germans for being right. This is ridiculous—or as the Germans would say, laecherlich. No, the Germans did not implement a giant stimulus package, equivalent to our own $787 billion American Recovery and Reinvestment Act. That’s because they had in place a massive Keynesian program of a different sort, one that was, it’s now clear, far more effective in providing counter-cyclical stimulus than anything we or other Western countries tried. Namely, kurzarbeit, or “short work,” a work-sharing program under which the government subsidized private employers to keep workers on the rolls, typically at reduced hours but only slightly reduced pay, rather than laying them off. The logic is plain: in a big cyclical downturn, it’s better to keep workers around for the eventual upturn (perhaps with some training in the interim) rather than laying them off, losing their skills, having to pay their unemployment benefits and then having to hire and train new people when business picks back up. Most crucially, the program keeps workers earning decent wages that they are in turn injecting back into the economy. The program’s a bargain—it cost Germany an estimated $6 billion or so in 2009. But it played a major role in keeping the country’s unemployment rate below 8 percent while ours soared. I’ll gladly continue to debate the merits of kurzarbeit some other time. For now, though, it’s enough to point out that it is deeply disingenuous for the Journal and other conservatives to be holding up as a paragon of austerity a country that was paying billions of dollars to keep people on the job—make-work, essentially—not to mention paying even more for the rest of the generous safety net that automatically kicked into gear in Germany. Merkel may be preaching austerity to the Greeks now, but when the recession hit, her country was as Keynesian as they come.